The UK Clinical Aptitude Test (UKCAT) is used by the majority of UK medical and dentistry schools to identify the brightest candidates most suitable for training at their institutions. 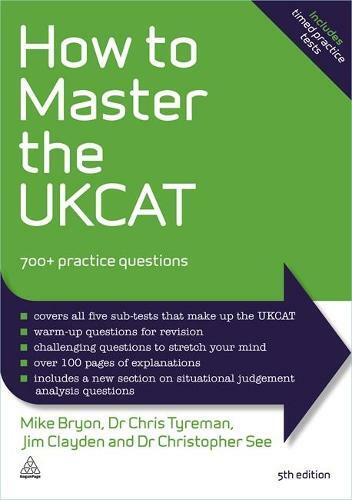 With over 700 questions, the best-selling How to Master the UKCAT, 5th edition contains the most up-to-date and representative questions than any other book. Questions are designed to build up speed and accuracy across the five sections of the test, and answers include detailed explanations to ensure that you maximize your learning. Now including a full section on the 'situational judgement' questions introduced in 2013 and a brand new mock test to help you get in some serious score improving practice, How to Master the UKCAT will help you prepare for the test, learn the demands of each section and develop a winning approach that gets results.